It is true that the type of mould used to make blue cheese is part of the Penicillium family but it isn't able to produce penicillin, says the Food Standards Agency. Cartoons have been conning us all along – if you want to catch a mouse, don’t load the trap with cheese. Researchers from Manchester Metropolitan University studied what attracted and what repelled the rodents and found that they prefer foods with a lot of sugar, such as chocolate, as a mouse's natural diet is primarily made up of grains and fruit, both high in sugar. Rodent catchers also say that peanut butter and bacon work well! People with lactose intolerance often find that they can eat cheese without any problems, says the Food Standards Agency, as cheese contains much less lactose than milk. You can also get lactose-free soft and hard cheese nowadays. Visit lactofree.co.uk for more details and to find out where to buy it. Some strict vegetarians avoid cheese in the belief that it is made using animal rennet, the ingredient that coagulates the milk. 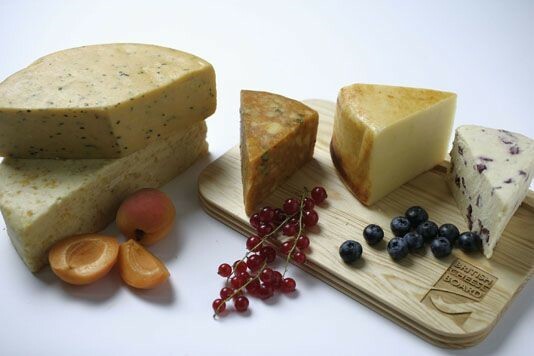 However, nearly all British cheese is suitable for vegetarians, says the British Cheese Board, even if it does not say so on the label, because it is now made using a non-animal rennet alternative. There are still a handful of traditionally made farmhouse cheeses that still use animal rennet but chances are you would be buying these from a decent cheesemonger, who should be able to tell you whether it is suitable for veggies or not.